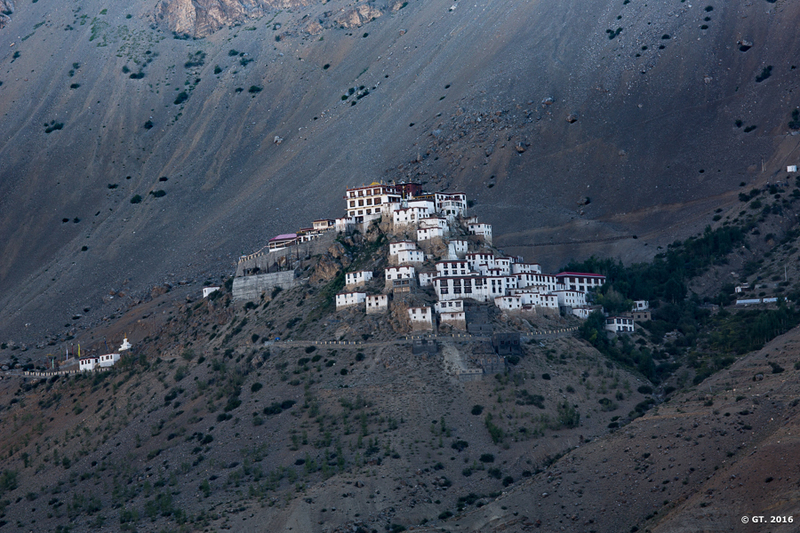 Key Gompa (also spelled Ki, Kye or Kee) is one of the iconic Tibetan Buddhist monasteries, which is 400 year old and is located on top of a hill, at an altitude of 4,166 metres (13,668 ft) above sea level. 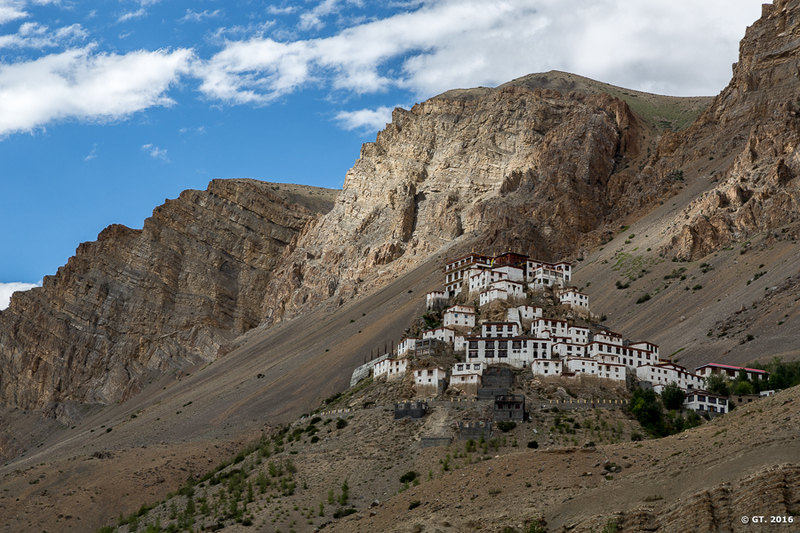 It is one of the most beautiful monasteries that is not only easily accessible by road, but also the one that lends itself well to be photographed, because of its location. 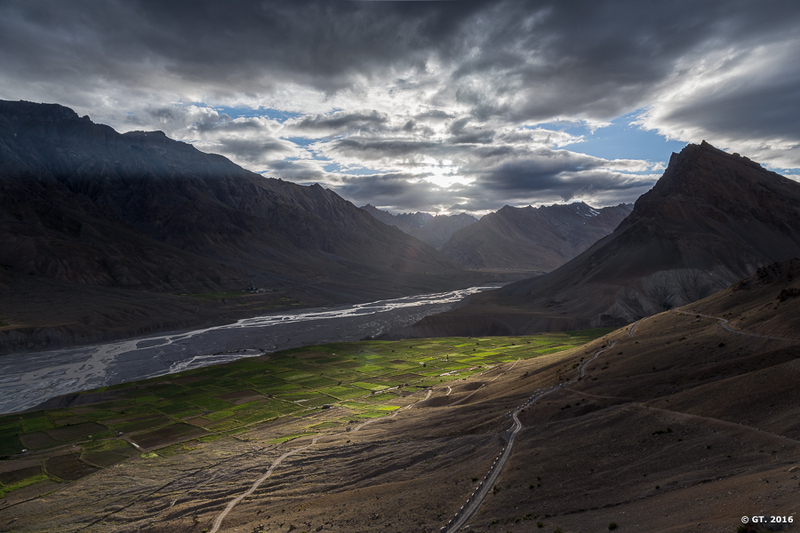 Key is made up of multiple levels and is pretty large and can be seen from miles, sitting on the ledge, on the eastern bank of the Spiti river. 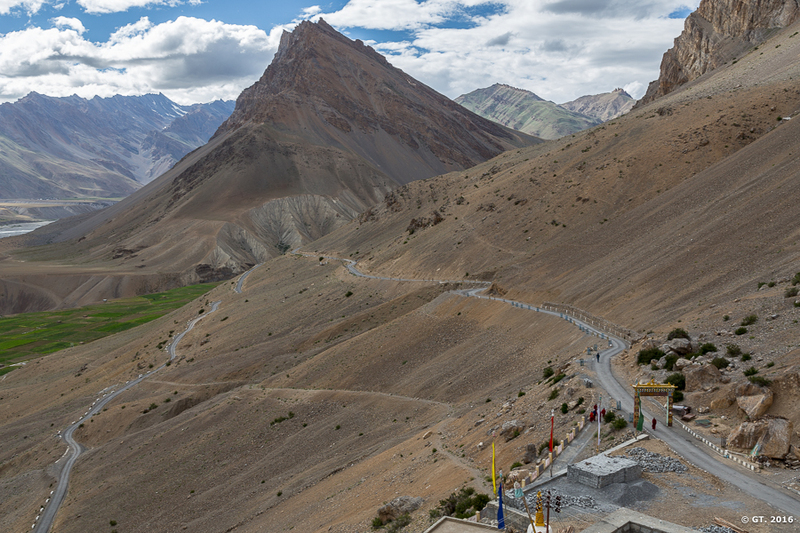 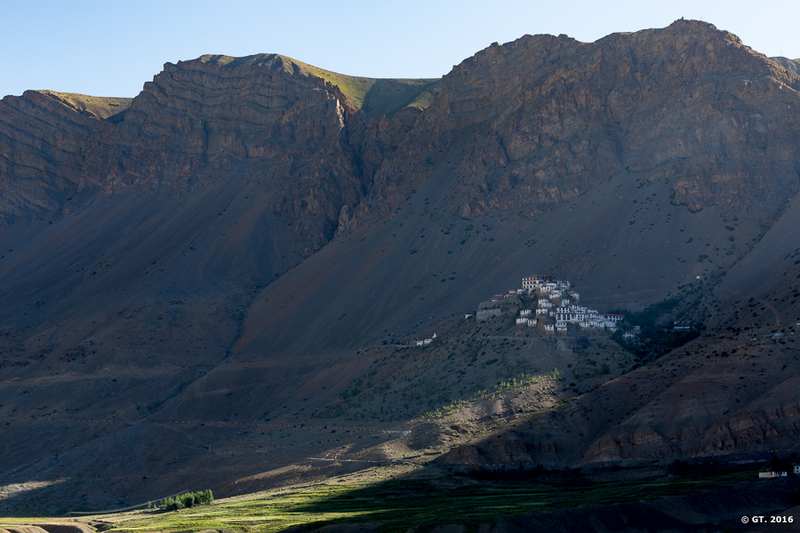 Once you reach the monastery and make you way to the rooftops, you also get an idea of how vast the Spiti valley itself is. 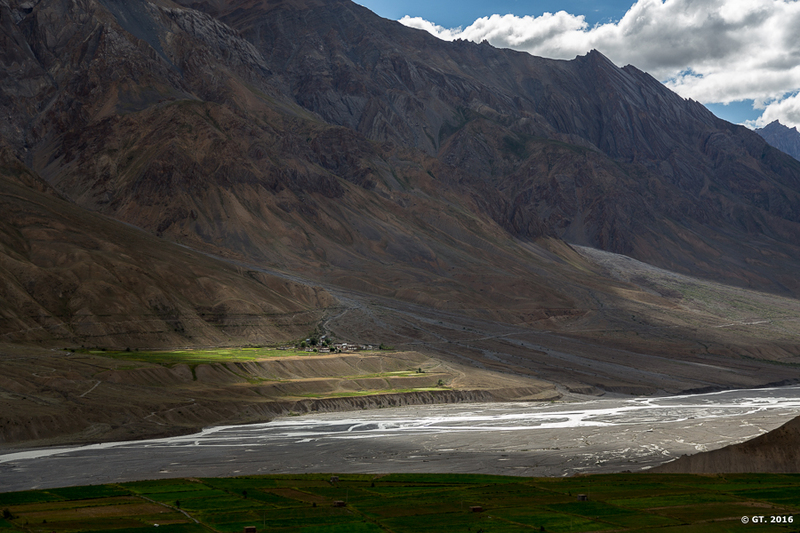 I was awed by its sheer vastness and grandeur. 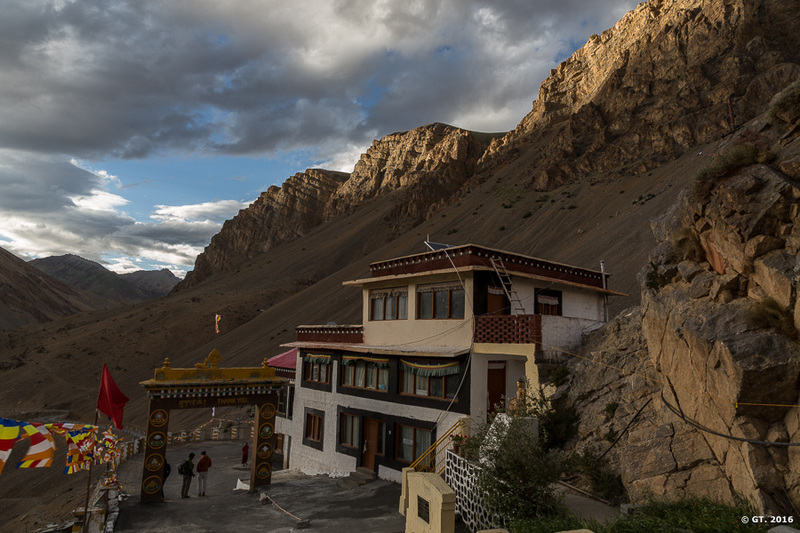 History of Key Gompa is one of sheer resilience. 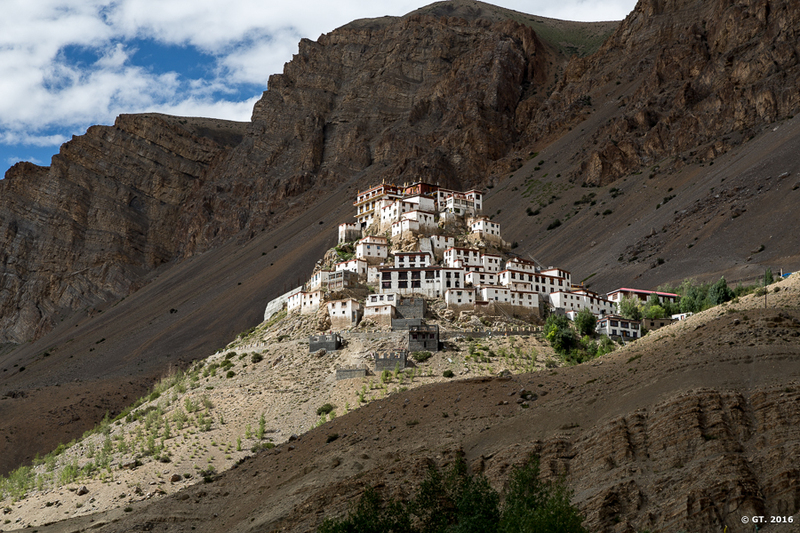 Since the 17th century, it has withstood multiple attacks, earth quakes and major fires. 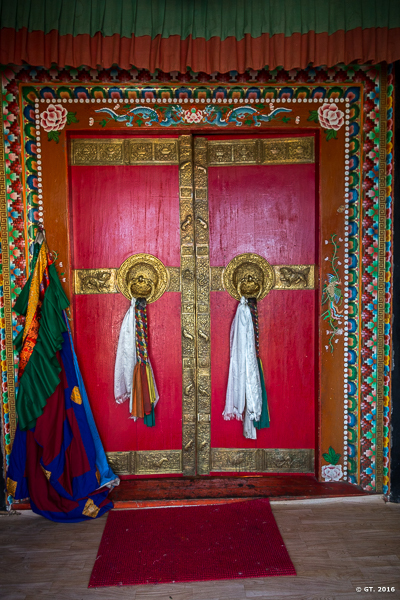 Kye Gompa now belongs to the Gelugpa sect and along with Tabo Monastery and Drangtse Monastery, it is part the three monasteries that belong to Gelugpa sect in the Spiti region. 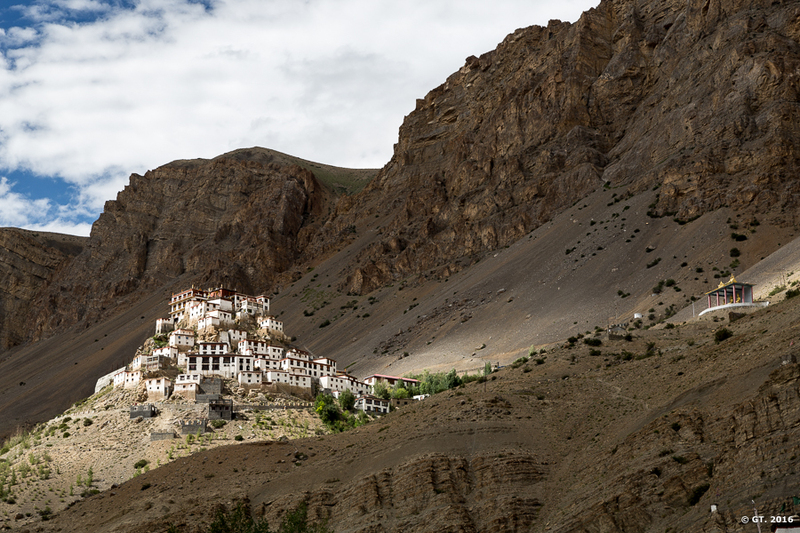 It is the largest monastery in Spiti Valley and accommodates nearly 250-300 monks, who reside within the sacred walls in winter, and stay with their parents or brothers, working in the fields, or employed in carrying travellers’ goods, during summer. 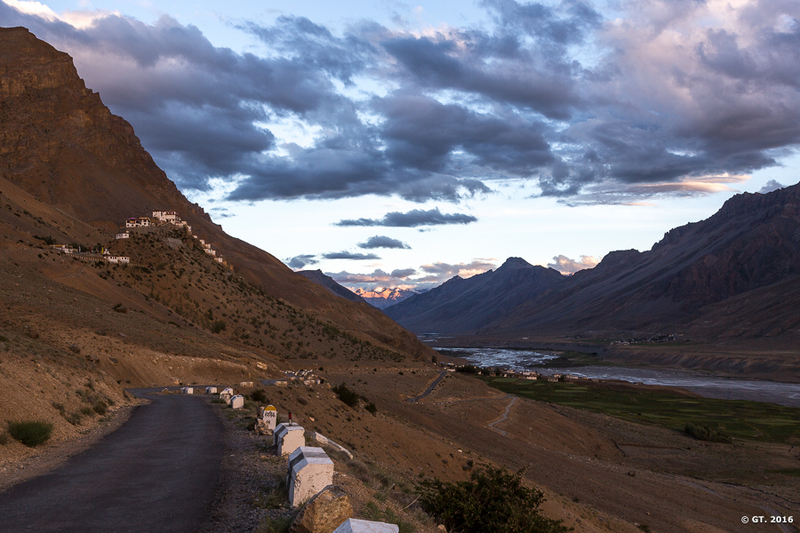 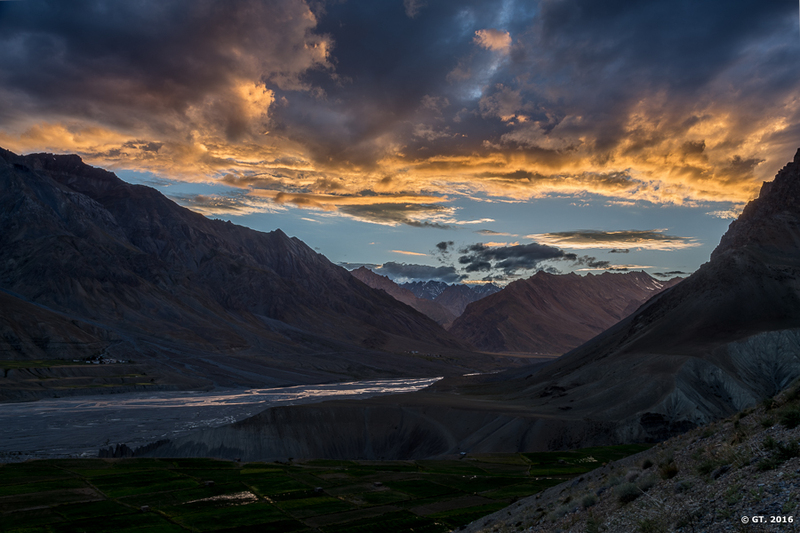 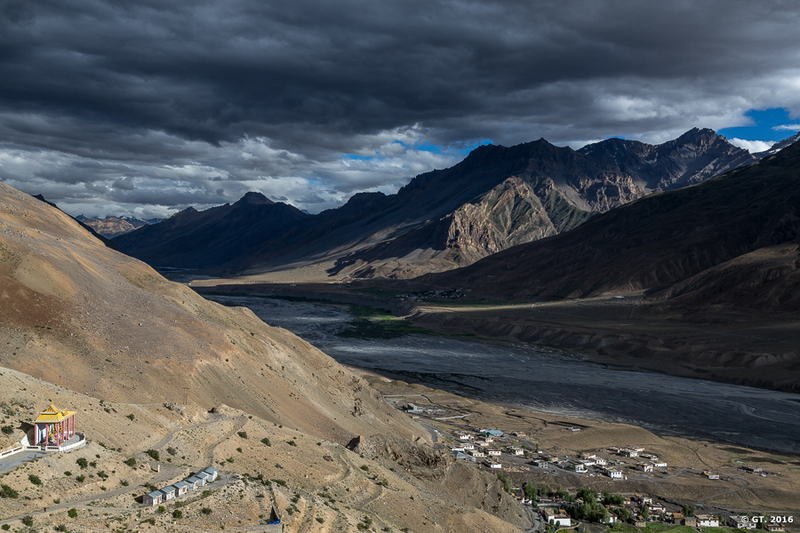 Vast expanses of the Spiti Valley. 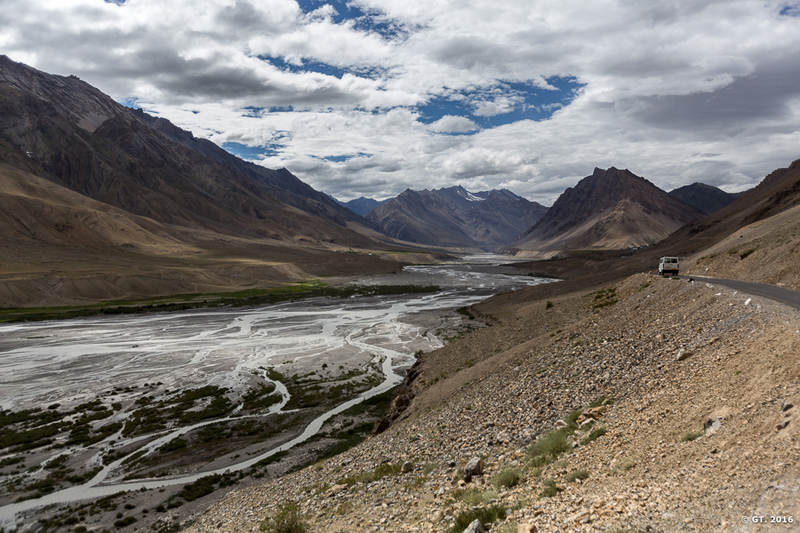 On our way to Key Gompa, from Kaza. 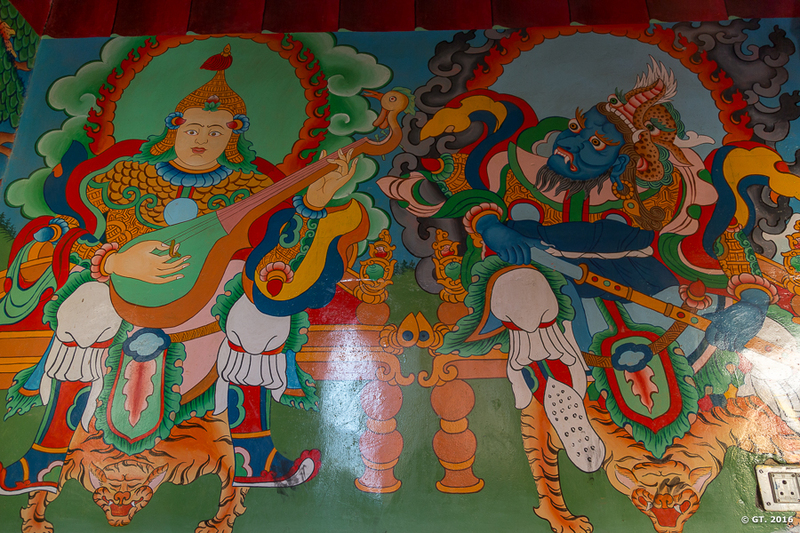 Every village has 3 deities that guard and protect them. 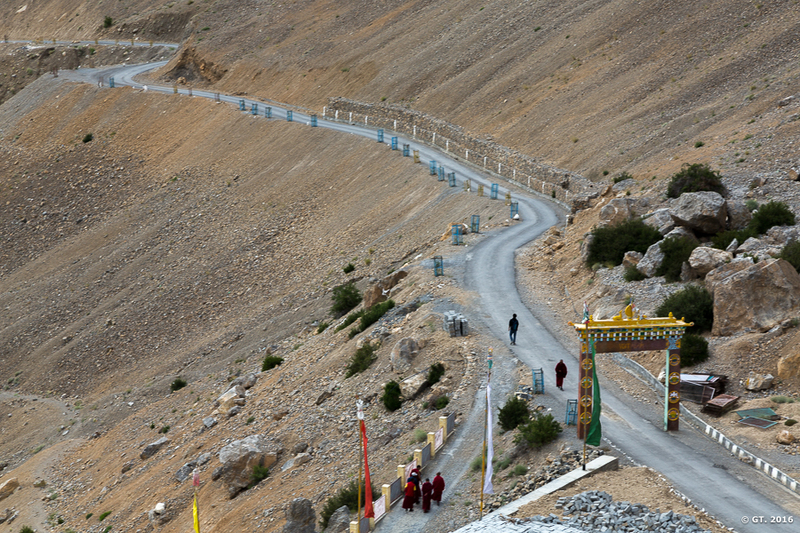 Here is the Key Gompa and the 3 deities of the Key village. 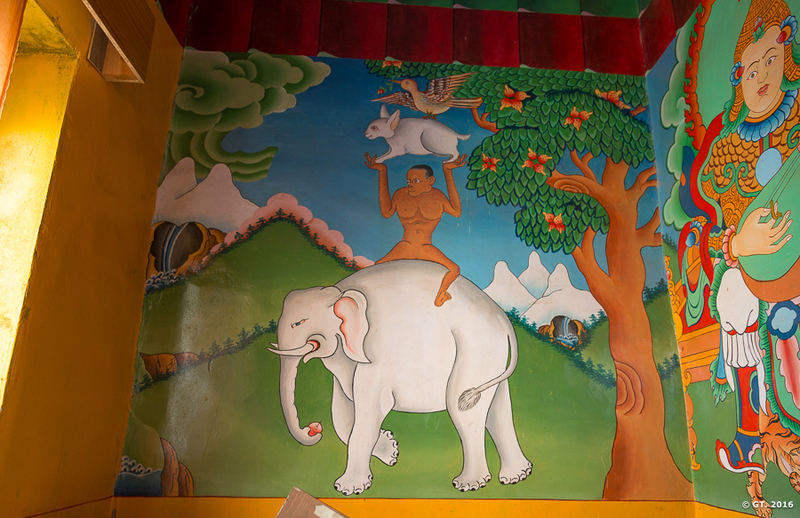 Not really sure why the deities are distant from the gompa itself. 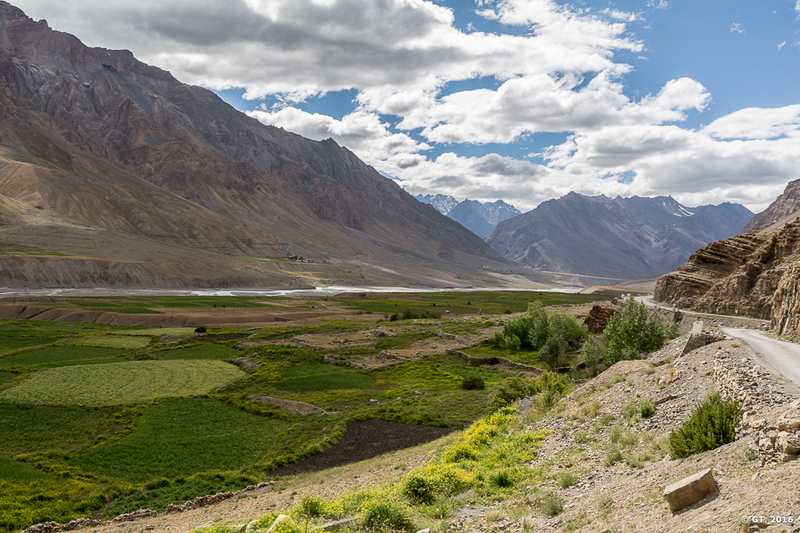 This was shot three days later, on our way back from Kaza to Chandra-tal. 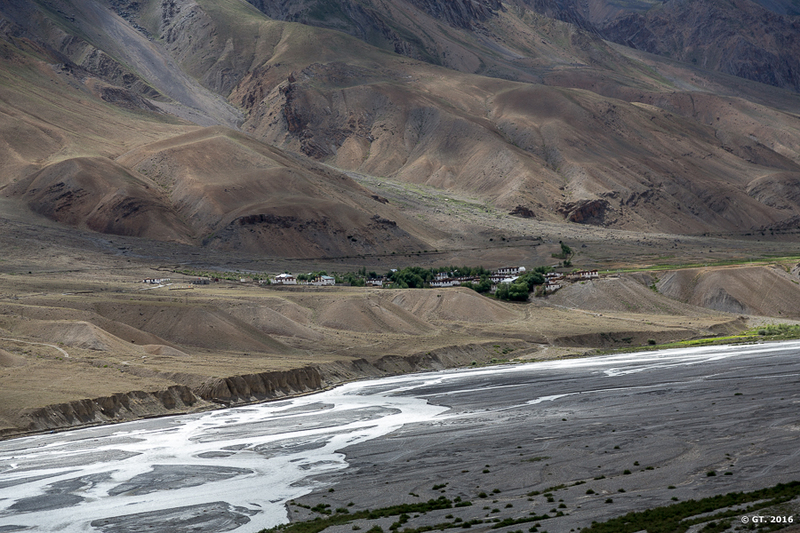 View of the Key Gompa from the western bank of the Spiti river.